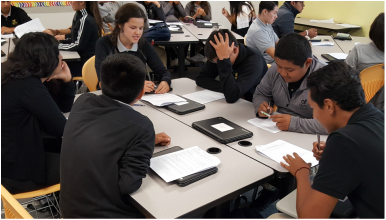 Spanning 5th - 8th grade, our Middle School PLT "Lab" curriculum consists of detailed lesson plan teaching guides with supporting presentation slides, student worksheets and digital tutorials . Lessons and units build upon each other with spiraling content across grade levels, but many lessons can also be taught on their own in 30 - 60-minute chunks. Our new High School PLT "Lab" curriculum leverages a "Case Study" format to increase students' critical thinking and discussion skills alongside their SEL skill development. ​ Although we feature a competency-based SEL component to our High School lessons, individual Case Studies and supporting material can be applied to many other academic subjects and lessons. The PLT "Lab" curriculum was designed to be implemented in complete units that build off of each other, with spiraling content across grade levels. However, individual lessons can be implemented on their own (or out of order). To help folks find lessons to address a specific need, we are currently organizing our lessons by "Leadership Habit," outside of grade level or curricular groupings. The PLT "Lab" lesson presentations are designed with different teachers in mind. For those teachers who are more experienced (with SEL, or in general), PLT Lab presentations and material can be modified to fit their classes. For newer teachers, embedded videos cover the key points using student-friendly language to make sure every student is getting the most out of the lessons. ​Go through this short presentation prior to implementing PLT Lab lessons in your classroom for the best results.